LOOKING TO BUY SALT WATER AQUARIUM FISH IN NEW JERSEY? Looking to buy marine fish in New Jersey? A list of suitable salt water aquarium fish can be quite long. There are many species of marine aquarium fish available from all taxonomic families and most tropical reefs around the world. Understanding the behaviors of marine fish is essential to creating a harmonious, thriving balance in your saltwater aquarium. Remember, saltwater fish interact differently amongst variable species of fish and their environment. Buying salt water fish carefully can mean the difference between a healthy marine tank and a fractious, unhealthy ecosystem. Each species of saltwater fish has a specific list of requirements needed to thrive within a captive marine environment. A marine aquarium has many different aspects to creating a stable environment for its inhabitants. Water stability is imperative to be successful for any organism. While there are numerous aquarium sizes and accessories, it is essential to install proper systems in order to support marine life. Certain marine fish require additional equipment to ensure health and vigor. 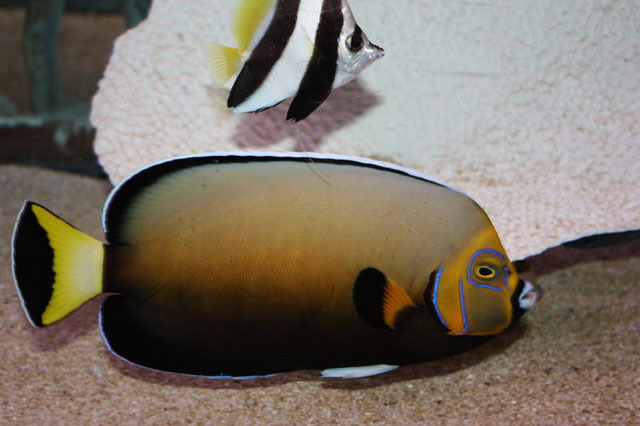 Ultraviolet sterilizers, protein skimmers and ozonizes are some equipment choices to be considered for angels, tangs, butterflies, and other more sensitive species. Utilizing proper husbandry practices are the ground work for a successful marine habitat. Understanding what each piece of equipment with the help of a professional aquarist is in the hobbyist’s best interest for spending their money wisely. Choosing fish for a marine community should be done with the utmost care, preferably with the guidance of an expert. Keeping salt water fish is a rewarding and extremely satisfying hobby, but it is not as simple as purchasing and dropping fish into an aquarium. Marine fish are complicated creatures with varying needs and behaviors. 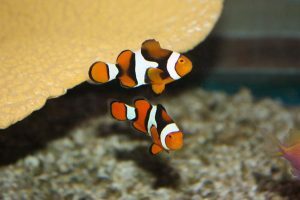 In order to be successful with a saltwater marine aquarium, these requirements must be communicated to the keeper before purchasing in order to be successful. The introduction of a single fish without proper compliments can be enough to upset careful curated balances. It is vitally important to do proper research and consult experts in the care and maintenance of marine organisms. 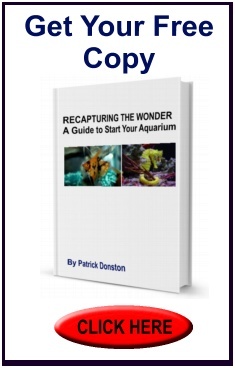 Remember, not ALL marine fish thrive and live with the same ease in a captive environment. It is both a blessing and a curse that marine aquarium maintenance is far more complicated than choosing the prettiest fish for the tank – but the joy of learning different fish behaviors, specific needs, and the proper system are well worth it. 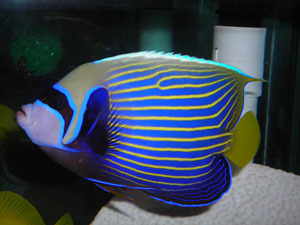 Chaetodon conspicullatus angelfish: a rare marine fish at Absolutely Fish.